Extended Preferences is an application that adds additional functionality to your Settings options. 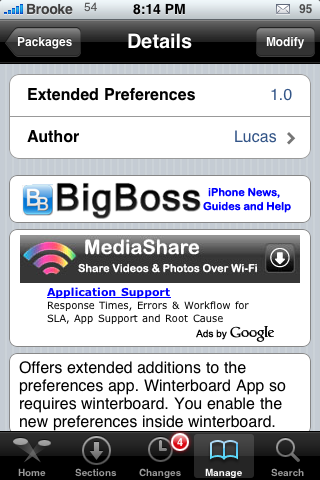 When you install Extended Preferences, it will be added to WinterBoard. 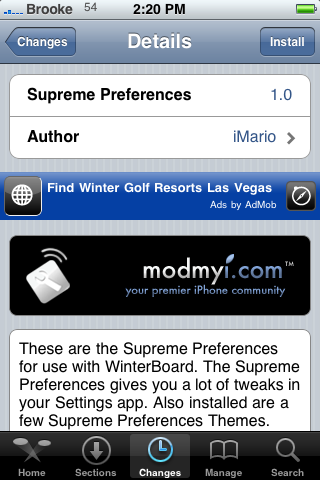 You will need to go into WinterBoard and select it in order to activate the app. Once you have selected Extended Preferences in WinterBoard, you can go into your stock Settings application to see all the features it has added. Some of the additional features are obvious such as a Usage option added just below your Wallpaper option. The Usage option displays the Time since last full charge, Call Time and Cellular Network Data. Another obvious addition is the SpringBoard option which allows you to turn on/off Show Internal Apps, Show YouTube and App Reveal Mode. 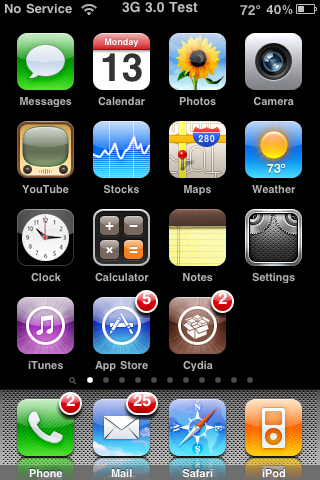 It also always you to turn on/off Fake Signal Bars (for iPod Touches) and Fake Time. The Fake Time and Fake Carrier options allow you to overwrite the stock Time and Carrier with your own custom info. You are also able to turn on/off Numeric Battery and WiFi. I love these options! If turned on, they allow you to tap your battery or WiFi icons to get the percentages.